The war in Syria is entering its eighth year. What is happening in Syria and how has the conflict forced so many refugees to flee to Europe? On March 15, 2011, protests broke out in Syria against the Assad family, which had ruled the country for 40 years. The protests Syria followed uprisings in Tunisia, Libya and Egypt, a phenomenon known as the "Arab Spring". 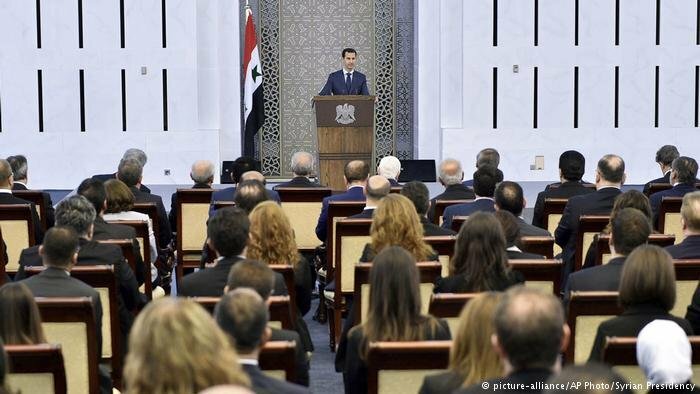 The government of Bashar al-Assad began to push back the protests in the capital, Damascus as well as Daraa in the south of Syria. Some of the demonstrators are armed and begin to organize into rebel groups, with the largest, the Free Syrian Army, forming in July 2011. The demonstrators had several complaints. Some claimed the Assad government was oppressing them and called for a more a democratic, free Syria. Others wanted the Syrian government to be replaced by a more theocratic government or even an Islamic state based on Sharia law. 2012 The Syrian government took back Homs, Syria's third-largest city, from rebels who had been controlling it. 2013 The United Nations said the government had used Sarin gas on civilians outside Damascus. 2014 The violent Islamist "Islamic State" or IS organization took over large tracts of Syria and Iraq, making Raqqa its capital. 2015 Russia began bombing the rebels in order to protect their ally, the Syrian government. October 2017 "IS" was defeated in Raqqa. The war has become a proxy conflict, with many countries intervening to push their own interests. Russia, with an airbase in the Syrian city of Tartus, and Iran are providing financial and military support to the Assad government. Turkey, which supports the rebels, began an operation into the Northern Syrian city of Afrin near the Turkish border in January. Turkey's aim is to clear out the Kurdistan Workers Party (PKK) and the Kurdish People's Protection Units (YPG), both of which it says are terrorist organizations. Saudi Arabia, Qatar and other Gulf countries have backed rebel groups against the Assad government. The United States financially backs the Kurdish YPG group, as well as the Syrian Democratic Forces (SDF) fighting "Islamic State". In the past eight years, the Syrian conflict has left more than 350,000 people dead. According to the UN Refugee Agency UNHCR, by December 2017 there were 5,440,749 registered refugees from Syria. The UNHCR also says that there are 6.5 million people displaced within the country. As of June 2017, according to the UNHCR, 3 million Syrian refugees are currently in Turkey. There are 1 million in Lebanon, 660 refugees in Jordan, 242,000 in Iraq and 122,000 in Egypt. Refugees are leaving Syria for many reasons. One is that young men who oppose the Assad government do not wish to be drafted into the military and oppose the government on ideological grounds. Another reason is that religious minorities like Christians, Yazidis, Alawites and other groups had been persecuted by extremist groups including "Islamic State" or other jihadist groups such as the al-Nusra Front, which is linked to Al-Qaeda. 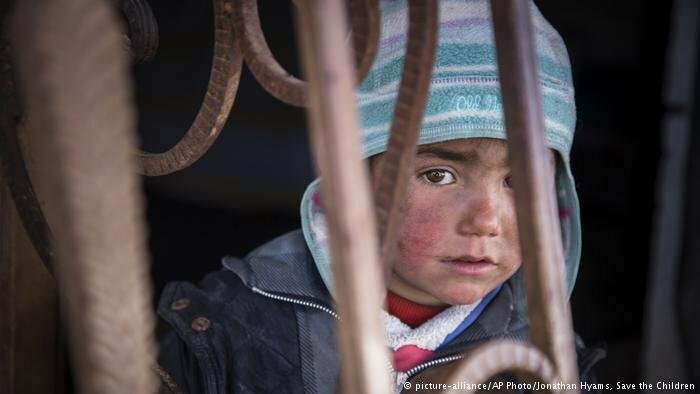 Violence across the country has forced many Syrians to seek safety in other parts of the country or neighboring nations. Others have decided to embark on a journey to European countries such as Germany. Many of the Syrians taking refuge in neighboring countries like Lebanon, Egypt, Jordan and Turkey are leaving those nations for Europe. This is partly due to poor economic condition in those nations. In Lebanon, for example, it is often difficult for Syrians to work and some may also be deported back home. Ninety percent of Syrian refugees in Turkey "work in informal labor outside the camps, often in precarious conditions," according to ReliefWeb. 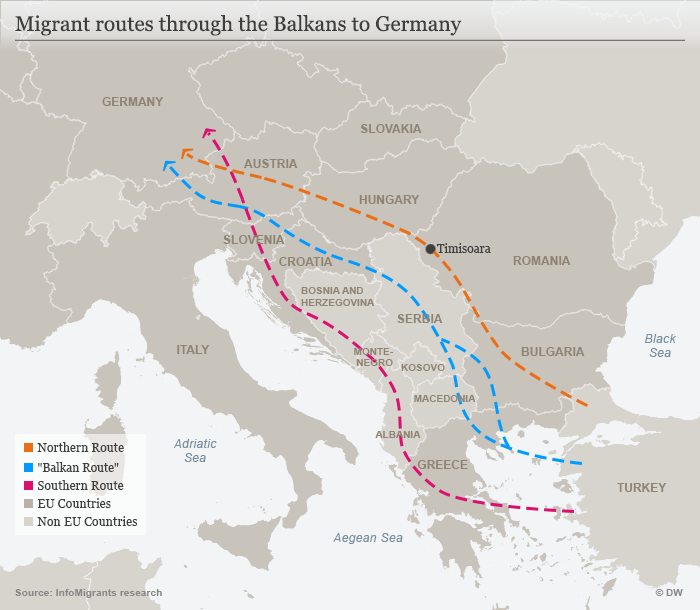 Many of these refugees came via the Western Balkan route, through Turkey, Macedonia, Kosovo, Serbia, Hungary or Croatia to Austria and Germany. In March 2016, the route was closed. Despite a significant drop in the number of asylum seekers arriving in Germany in the past year, Syrians continue to make up the largest group of asylum seekers in Germany. In February 2018, more than twenty percent of those seeking asylum in Germany were from Syria, with the second-largest group from Iraq. In 2017, some 98,000 Syrians applied for asylum in Europe.